THROUGH Build-PAC Hawaii, our industry has thousands of united voices at the State Legislature and at our City Council. Build-PAC Hawaii works hand-in-hand with BIA's Government Relations Committee (GRC) who screens, monitors, testifies and lobbies on bills of importance to our industry. GRC maintains a voting "scorecard" on each candidate and Build-PAC Hawaii uses that as a guide when interviewing candidates and making funding decisions. 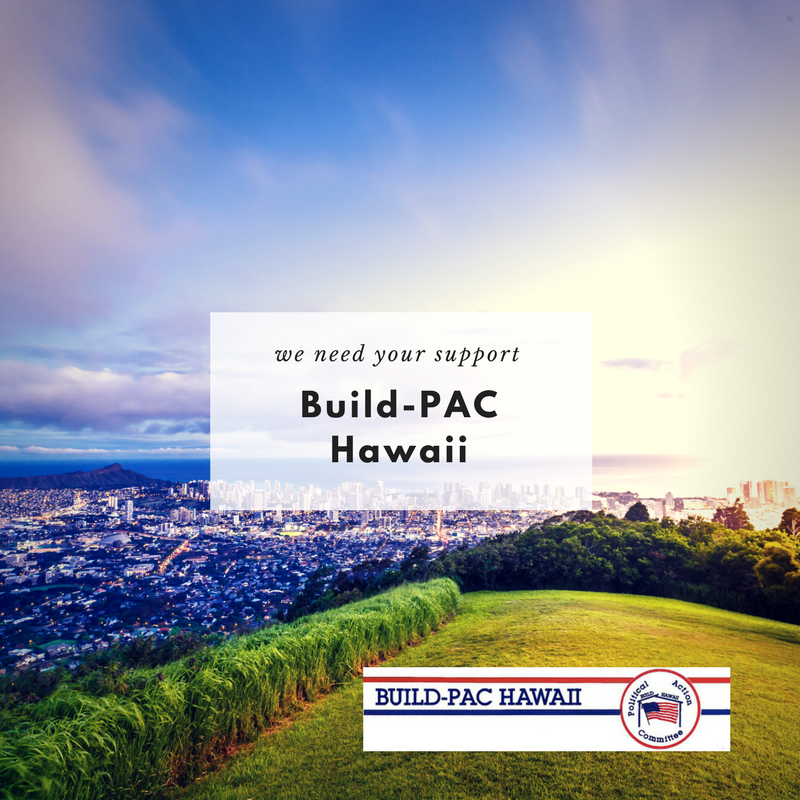 We are asking you to support Build-PAC Hawaii with a donation today. In 2018, with your help, we were able to rally against poor permitting practices and pass Bill 64 which effectively addresses the problem. We continue to work, but need your support to continue. Any amount helps! Please make all donations from your personal credit card or checking account.